Cape Town - The real challenge of the World Rugby Sevens Series is the absolute diversity of each of the 10 tournaments - not one tournament is ever the same and every stop provides different demands from opponents to venues alike. This week in Singapore, where the Blitzboks last tasted success in 2004, teams will physically be tested by high humidity and it being at the end of a taxing trip that started at the end of last month for the Blitzboks. The South Africans will also face some emotional challenges, after under-performing in Hong Kong last week. There is also the mental challenge of getting up again after the traditional hype of the Hong Kong Sevens. 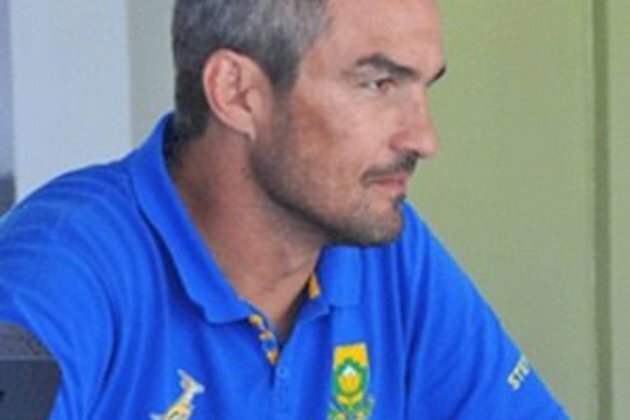 For Springbok Sevens coach Neil Powell this week was all about getting the balance right in order to make sure his squad hit the Singapore Sevens with the right frame of mind and body. "It is a tough one, getting that balance right," said Powell. "We have seen in the past, teams are up and down come Singapore and there are reasons for that. We stepped off the gas a bit in training this week, due to the heat, and also had the guys chat more on what we want to achieve out there this weekend." The proof will be in the pudding come Sunday, but Powell was pleased with the way the squad responded to the change in environment and schedule. "They had to take a bit more ownership off the field this time," said Powell. "It was pleasing to see that they got stuck in when told to do more analysing than usual and to present plans on attack, breakdowns and defence. This time they were doing the presentation, not sitting there and just listening to one." Powell, World Rugby's Sevens Coach of 2018, did not sit back though. He discussed some breakdown aches with the officials, in order to make sure that the Blitzboks are not the most penalized in the tournament again, like they were in Hong Kong. "Yes, I had a chat to see where we can make their jobs easier and it was productive to hear things from their perspective on where we went wrong. Amongst ourselves, we also had to chat about the attacking opportunities we created, but failed to convert into points," said Powell, who is still of the opinion that the team can repeat their efforts from Vancouver, where they won the Canada Sevens. "There is a huge amount of potential in this squad. If we can eliminate those things that are holding us back, there is no reason why we cannot have a productive tournament. We are looking at a solid day one that will provide the momentum for the second day." Branco du Preez will equal Kyle Brown's record as the most-capped Blitzbok in the World Series when he runs out in his 69th tournament in Singapore, a mark Brown achieved in Sydney earlier this year. Du Preez is keen to embrace the opportunity: "It is such an honour playing for this team and with these guys, I am certainly proud to be around this long. "The weekend will be about using our opportunities and I hope I can contribute my part with that," said Du Preez, who debuted in 2010 in Wellington and has played in 344 matches for his country since.